Printed trapeze sleeveless blouse on a lovely spring print. Blouse at back neck features tie closures to create bow detail that compliments this silhouette beautifully. Garment is not lined. 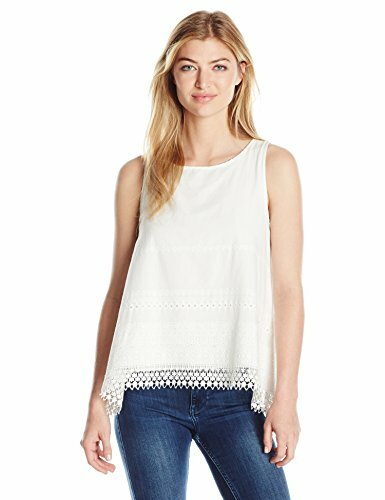 Woven eyelet embroidery sleeveless blouse. Blouse features delicate embroidery and trim detail under the bust along with lovely lace and trim accents.